In an era of high technology when there are innumerable tools and machines to aid human effort, the need for their precise fabrication and repair is paramount. When it comes to fabrication of any structure, part or a complete piece, frequently several smaller units have to be welded or joined together. This is commonly done by melting the base metal at a high temperature and then adding a filler material in between to complete the bond. 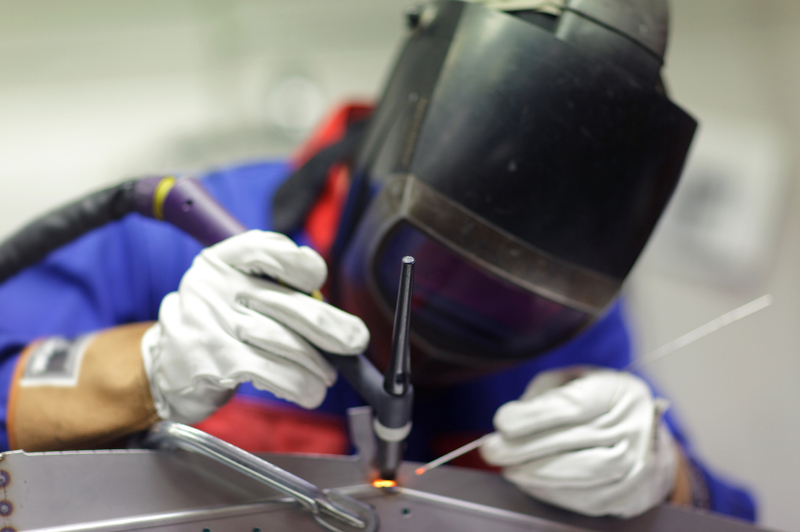 Depending on the specific requirements, the techniques may vary between the TIG, MIG or the Stick Welding. It is not enough to have only the means and the machinery at disposal to produce high quality welding. Fine welding jobs are usually the results of welding skills that are learnt and perfected over time. A Welding Shop in Utah that caters to the local needs along with industrial requirements, fabrication jobs often involve CNC or hand-cut parts that are then welded together for customized result. Custom fabrication using structural steel, stainless steel or even aluminum is our specialty. We carry out a smooth welding process for a flawless finish. This is where we make use of the TIG MIG and Stick Welding along with our skills and experience. Catering to the local heavy industry needs, we extensively make use of all welding methods. Our aim is to provide high value and sustainable repair and refurbishing. Our Welding Shop in Utah spans 22,400 square foot in Lake Point. We are metal workers for the 5th generation in succession. If you have a design or a fabrication welding problem, we have the customized solution for you.